A dynamic university educating women to lead and influence, St. Catherine University prepares students to make a difference in their profession, their communities, and the world. The University is home to nearly 5,000 students in associate, bachelor’s, master’s, doctorate and certificate programs. 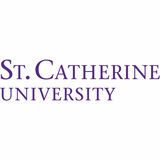 Granting bachelor’s degrees in more than 60 majors, the St. Kate’s College for Women is one of the largest private women’s colleges in the nation. The University also offers a range of programs for women and men in the Graduate College and College for Adults.